Late Friday night I learned that the National Geographic Magazine was available for the Kindle, so I immediately downloaded it. That turned out to be a disappointment, but it inspired me to go check iTunes for an iPad app. The app came out in February, and it didn't get nearly the attention of Wired or any of the big, flashy magazines. That's a pity, because this is a fun app. Let me start the review with this: Go get the app. Now. The February 2011 issue is free and is most definitely worth seeing. The NGM app is based on the same Adobe platform as Wired that I reviewed back in April, and it has quite a few details in common. The library menu, pull down menus, and general capabilities are the same. I'm going to skip most of the technical details for that reason and focus on the differences. The one important difference is that the NGM app has less embedded content than Wired and the embedded content is simply better quality. Wired feels like all sorts of stuff (short video clips, audio, animated gifs) were embedded just because the ability was there, not because the content deserved to be included. NGM, on the other hand, took the pictures that were already going to be in the print edition and expanded upon them. For example, there's a wordcloud/map in the February issue that shows last names and where they are concentrated in the USA. This map has an interactive option in the app where you can zoom in on regions and see the names in greater detail. There's a video clip that is tied to the article on article reefs. You get to see a ship being sunk. The video was not shot just for the app, but it is a good addition. The app also has an interactive map of the catacombs under Paris. The print edition is a highly detailed image, and making the iPad version interactive was a clever touch. But the biggest difference between the 2 apps is that the NGM app separated the articles from the many beautiful, highly detailed photographs. The print edition has text and photos on the same page, but the app has the articles as single bodies of text with photos on the pages before and after. This is an improvement. The pictures are bigger and you can focus on 1 detail at a time (article or image). But it's also an improvement that the Wired app probably can't use. Wired Magazine relies heavily on sidebars which won't work so well if you moved them to their own pages. But while I like that the text is separate, I do wish that the NGM app had more of the smaller images and related sidebars that are found in the print edition. Also, the layout of the text is very basic. It would be nice if more thought were put into making it look better. The NGM app does share one critical weakness of the Wired app, but it took me a while to notice the absence and it took me even longer to realize the importance. Neither app has any decent sharing options, and the NGM app lacks them entirely. You can't tweet excerpts, post content to Facebook, or do anything, really. At first this didn't seem as important for the NGM app; its audience isn't as tech-savvy. But eventually I decided that I really wished I could tweet a link to particular pictures. I really truly want to show you the photography in this app. What's more, this is costing the NGM readers and subscribers. Still, this is a great app. It's one case where I believe that the app surpasses the original print edition. Then again, I've been reading the NGM on and off for over 20 years now, and as I look back I can't help but think that the print edition has been straining against the limitations of paper for at least the last 15 years. The app has a sense of being made by creators who are ecstatic to _finally_ be able to make the magazine they've always wanted. 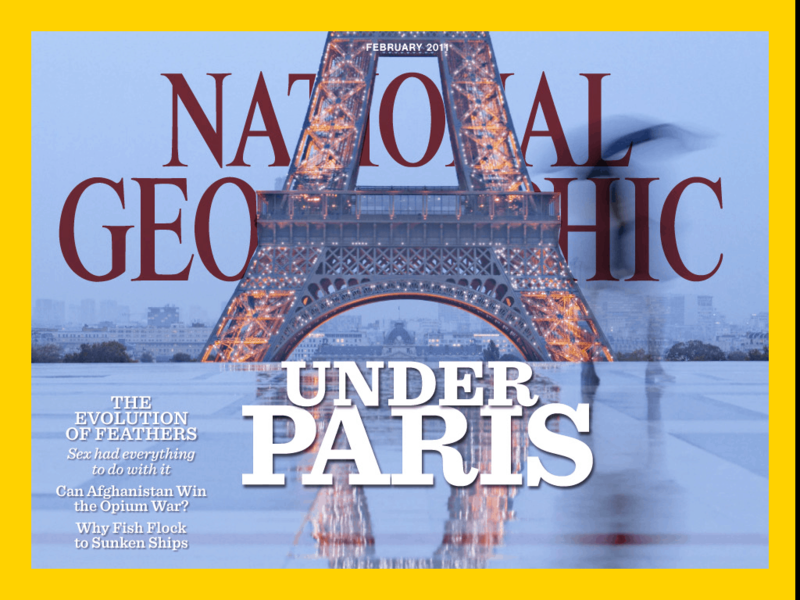 The NookColor Nat’l Geo edition is also better than the print magazine now. It’s really stunning, and its choice of Article view is very well done, even though zooming the page will make it readable with the context of the surrounding images. Is the NC edition interactive? Nate, no it’s not interactive, but I can choose Article Mode reading of text-only for and it handles Table of Contents well and the row of linked images for each story. The pinch zoom-ins are just amazing. You know the resolution on the NC is better than on the iPAD, in that size, and that’s another reason it’s stunning to me. I picked up the Inca cover edition and it was sort of blah after seeing the slide-photo-like rendering of images with the tablet editions. I have to disagree with you. The NG app is the most hopeless piece of software I have encountered for a long time. You never know where you are, the magazine takes forever to download, and you have minimal control over what you are reading or seeing. The developers have tried to be cute and they have failed. Also, if you subscribe, they will keep billing you each year without asking. My post is 18 months old. Clearly things have changed. Be careful because some digital editions such as the Kindle’s omits all photos except one per article. Very sad.